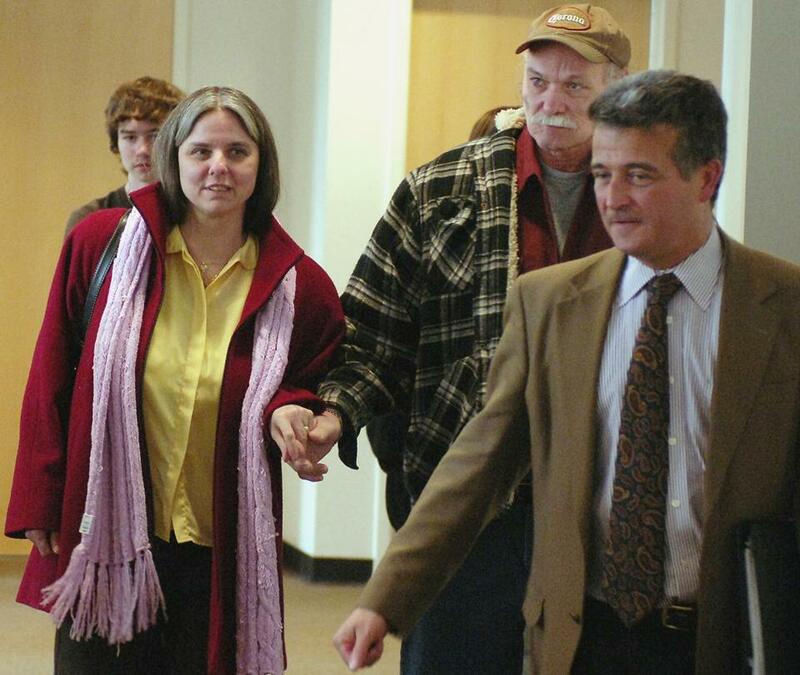 Lynn Dejac Peters and her husband, Chuck, held hands after her murder conviction was overturned by the State Supreme Court in Buffalo. She had served 13 years in prison. BUFFALO — A woman who spent more than 13 years in prison until being cleared of strangling her teenage daughter died of cancer Wednesday. Lynn DeJac Peters, 50, died at her Buffalo home in the presence of her husband, Chuck Peters, and their now 20-year-old twin sons, who were taken from her as newborns after her arrest, her attorney said. ‘‘I have my boys to live for here, but if I don’t make it here, I have the love of my life waiting,’’ she told the newspaper, referring to her 13-year-old daughter, Crystallynn Girard, who died in February 1993. Ms. DeJac Peters was convicted in 1994 of second-degree murder in Crystallynn’s death. She was imprisoned at the maximum-security Bedford Hills Correctional Facility until her conviction was overturned when newly analyzed DNA placed Ms. DeJac Peters’s former boyfriend, Dennis Donohue, in her daughter’s bedroom around the time the girl died. Donohue is serving 25 years to life in prison after being convicted in 2008 of strangling a woman seven months before Crystallynn’s naked body was found on her bed. He could not be tried for Crystallynn’s death because prosecutors gave him immunity in exchange for testimony against Ms. DeJac Peters. ‘‘There are different layers of tragedy here,’’ said attorney Steve Cohen, who was representing Ms. DeJac Peters in a $30 million federal civil suit against the city of Buffalo and Erie County. ‘‘Lynn was deeply sorrowful over the reality that the few years God had given her on this earth were spent, so many of them, were spent behind bars, and she was unable to watch her children grow up,’’ Cohen said Wednesday. In addition to the twins, Ms. DeJac Peters has an older son. But she also remained angry over how her case was handled, Cohen said, as well as a finding that placed blame for Crystallynn’s death on the honor student. The civil suit claiming deprivation of Ms. DeJac Peters’ civil rights will continue on behalf of her estate, Cohen said. Ms. DeJac Peters reached a $2.7 million settlement with New York state in November 2012, shortly before her cancer diagnosis.